2.0 Box Office Collections Day 8 Early Trends (Hindi) : It's A Minimal Drop, But Nothing To Worry About! Home » Box Office » 2.0 Box Office Collections Day 8 Early Trends (Hindi) : It’s A Minimal Drop, But Nothing To Worry About! This drop was expected but there's nothing to worry about, because a weekend is coming and the collections will surely jump. 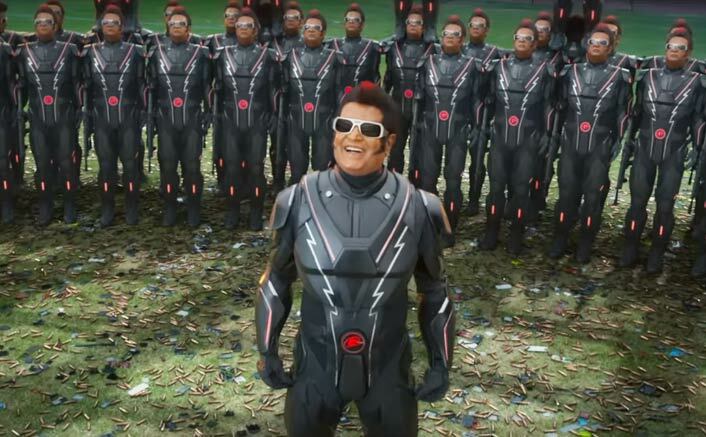 2.0 Box Office Collections Day 8 Early Trends (Hindi) : Starring Superstar Rajinikanth & Akshay Kumar, the film has shown a war between the good and the bad but the audience only has good, in fact amazing responses to give in return. 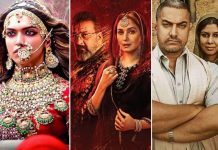 The movie with a humongous collection on its 1st day has not only went onto become the 2nd highest opening day grosser of all time (after Baahubali 2), but has also continued a tremendous pace at its Box Office numbers. The Shankar directorial went onto garner a whopping amount of 97.25 crores in its first weekend and considering the fact that the race for the movie began on a working day, the numbers are highly impressive. It currently stands at a total amount of 132 crores (Hindi). 2.0 Box Office Collections Day 8 (Hindi) Early Trends: It’s A Minimal Drop, But Nothing To Worry About! Now if the early trends are to be believed, this magnum opus has added more in the range of 6.50-8.50 crores to its kitty. If we go by the trends today’s Hindi box office total might end up in the range of 136.50 to 138.50 crores. This drop was expected but there’s nothing to worry about, because a weekend is coming and the collections will surely jump. After crossing the lifetime collections of movies like Sonu Ki Titu Ki Sweety, Raazi & Stree, it seems to have now left behind this year’s most profitable movie Badhaai Ho. Let’s see how many more reasons it adds in order to call for a grand celebration with each passing day! 2.0 VS Baahubali 2 Box Office: 7 Day Total Comparison – Clash Of The EPICS! The film that reportedly had a budget of 543 crores is considered the most expensive film of India made in 3D. Recently Akshay Kumar urged the audience to watch the film in 3D at the theatre. Asked if the extensive use of technology would overpower the core story of the film, Akshay said, “I do not think so. I would rather say that the use of technology has enhanced the narration. The global message of the film comes across crystal clear.” 2.0 hit the theatres on November 29.